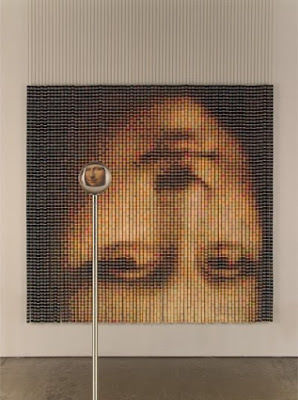 Here we have some really beautiful work of art which is been created using spools of thread. Artistic! 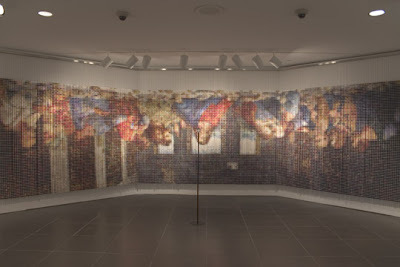 Installation view from approximately 50 feet. Detail view from approximately 10 feet. 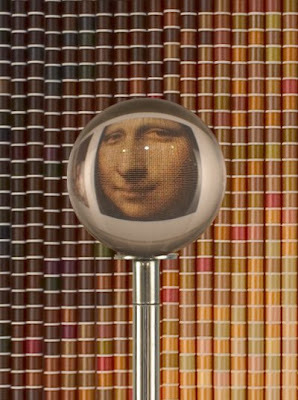 In this one 5,184 spools of thread were been used, 85" h x 86" w.
Installation view: Brooklyn Museum, 2007. Detail view: Clear acrylic viewing sphere. 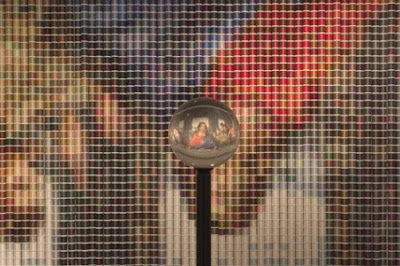 And in this one 20,736 spools of thread were been used, it measures 85"h x 29'w. And here is the rest of the interesting work - link. Natural Group's New Head Office. Noah's Ark Replica By Johan Huibers.